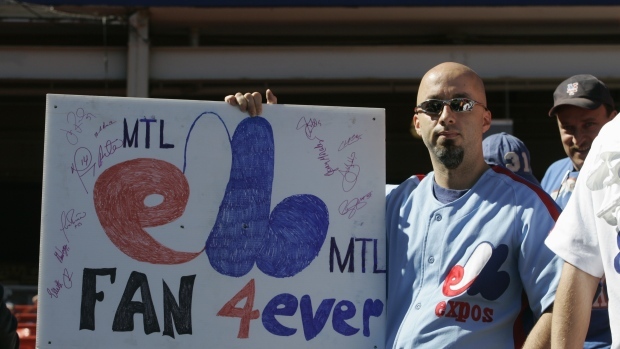 MONTREAL — Stephen Bronfman was clear about the message he'd give Montreal Expos fans right now. "Don't have to say we need to be ready," Bronfman said. "We are ready." Bronfman, the executive chairman of Claridge Inc. who leads a group of Montreal businesspeople seeking baseball's return to Montreal, said Monday that he and development group Devimco are working towards securing land near downtown to build a stadium and land a Major League Baseball franchise. He stressed that "nothing is wrapped up," but said he hasn't experienced any hang ups throughout the process. "I've been living this as you all have for a long time," Bronfman said. "All I feel is positive movement. I'm hopeful but I think this is a big year." It was revealed in February that Bronfman and his group wanted the land near the Peel Basin, in the southwest part of Montreal. The city is also planning on building part of a light rail system by the area. The 20.5 acre land is currently owned by the Canada Lands Company. Bronfman said he hopes a decision on the area will be made in the next couple months and added that the site could still be worth developing real estate if baseball isn't in the cards, which he hopes isn't the case. "The frustration is just time," Bronfman said. "This is a life-long project, so if it takes another year, that's fine because it'll come." Montreal is hosting exhibition games between the Toronto Blue Jays and the Milwaukee Brewers Mar. 25 and Mar. 26.